And so we have a fiscal settlement. Unfortunately, we have a variant of the Treasury’s originally proposed method for indexing the abatement to the Scottish government’s block grant: a variant which has been designed to be virtually identical to the so-called per capita indexed deduction, or PCID, method, (or so John Swinney claims.) It turns out, therefore, that the outcome predicted in my Bella article of 7 February 2016 (‘Will a disastrous fiscal settlement be the end for John Swinney?‘) has indeed come to pass. As I argued in that article, this is bad news for Scotland. What it means is that Scotland has to engage in an economic race with the rest of the UK, (rUK) – a race in which, to avoid being penalised, Scotland has to grow its income tax revenues per head as fast as rUK. Given Scotland’s lack of economic powers, and given that income tax is not Scotland’s strong suite, there is every chance of Scotland falling behind in this race. And the penalties if we get into this situation are very severe. Ultimately, if Scotland’s growth rate in income tax revenues per head is consistently lower than the growth rate in rUK, then levels of public expenditure per head in Scotland on devolved services would reduce to about half of the levels in rUK. I don’t want to repeat here all the arguments in that earlier article: but my conclusions still hold. Unfortunately, John Swinney has let himself be comprehensively outplayed by the Treasury negotiators. What I want to do here is to examine the likely significance of the re-negotiation arrangements which are part and parcel of the current agreement. It is useful to start by looking at the Treasury’s view of Scotland’s economic powers. During a meeting late last year attended by several Treasury officials, I expressed the view that Scotland would not have adequate economic powers to make it worthwhile to take on the risks inherent in PCID type indexation of the block grant abatement. The response from a very senior Treasury official was that I was wrong, and that Scotland would indeed have adequate powers: in particular, the official said that the primary power Scotland would have would be the ability to lower tax rates in the higher income tax bands relative to the rest of the UK – so making Scotland a haven for the rich, and hence increasing Scotland’s tax base and revenues. This view of course is nonsense: it runs quite counter to anything that any reasonable Scot would want to do with Scotland’s new powers: (in particular, John Swinney has said he wants to make Scotland’s income tax more progressive – i.e., quite the opposite of the Treasury official’s recommended course of action.) And the Treasury policy is extremely unlikely to work anyway, even if any Scottish government was willing to give it a try. The implication is that the re-negotiation facility in the recently negotiated deal is actually likely to be worth very little when we really need it – and need it we will, at some stage. I’m not feeling my best today maybe that’s why I can’t get my head round that£7BN to £2.5BN means no detrement. Thank you to Jim Cuthbert and Bella Caledonia for serving the Scottish public with information and facts on a critically important issue. Unfortunately this kind of intelligent, informed analysis from a particularly authoritative source on the operations of government (with the appropriate links to valuable papers), should be the substance of informed public discussion in Scotland, but with the slipshod kind of media we actually have this simply does not happen. Jim Cuthbert’s contribution should be required reading – for everyone. I would have hoped it had attracted more attention from readers of Bella, and commenters, and bloggers, than, so far, has happened. Where are you? Scotland cannot afford to sleep through this issue or continue to indulge the superficial banalities of current ‘knockabout’ political debate that unfortunately, and too often in Scotland passes for legitimate public discussion of serious issues. Prejudice, presumption, dogmatism, sloganising, ideology and sheer intellectual laziness are no longer good enough. Sorry to reply again. I think the problem is that most Indy supporters (and probably others), just aren’t interested. They dismissed Smith even before it happened. Is there any chance of getting an response from the SG dealing with the issues and points raised by Jim Cuthbert here? Yes, it is unworkable and will be in five years time when the review is due. No country is in control of its economy that doesn’t exercise all of the powers required to manage that economy. I also think the SG are as aware of this as anyone else. What’s been bought with the current arrangement, I suspect, is time. “whilst achieving the outcome delivered by the Indexed Per Capita (IPC) method for tax and welfare” which seems to cover it for me until 2021/2, and then it can’t be automatically renewed without further negotiation. Thank you for the contribution, it is precisely the kind of development of discussion, of facts and opinion that we need, and I shall reflect on it further. There’s a bit of stuff about the renewal then, but it does seem to be subject to the usual waffly bit at the end of PU1905 about dispute resolution. My reading is that if the review of the framework isn’t agreed, then either that framework stands until the dispute can be resolved, or the block grant doesn’t get adjusted any more! Which seems fail-safe to me. The framework proposal does have time to be reviewed the next 3 or 4 weeks, and ultimately I guess the opposition parties could vote not to accept it – which would be a curious state of affairs. I don’t think it’s just an economist matter though, it’s also a legal one. But the agreement seems fair to me. This is an honest view but that is all it is. Another accountant will undoubtedly have a different opinion. This will take us to 2022 and then any continuing agreement will have to be agreed by both governments and the Westminster Government whichever colour will want to maintain the Union while the Scottish Government if still SNP will not have that issue at the top of its agenda. Believe me this will not be disastrous for John Swinney in whom I and many have every confidence. Jim Cuthbert is not an accountant. He is an economist, a mathematician and a statistician. He was the Scottish Office Shief Statistician until 1997, and he worked variously in the Scottish Office, Treasury and the OECD. Yes, he offers only an “opinion”, but I suggest that it is an authoritative opinion on government and economics, from the inside of both, and when he writes on this subject his “opinion” deserves the closest inspection and very careful consideration before being dismissed. I just checked you out and found a previous article from you. Curiously I had been against Devo-max / FFA until I read an article from Douglas Alexander in the Scotsman of all places, Aug 2014 I think but haven’t been able to find it since. It led me to think again, and my conclusion was that FFA was OK if we didn’t get Indy, but anything in-between that and the status quo had to be stable, cause no loss, and was virtually impossible. As he said, we need the full stable of revenues to allow one to compensate for another. For me the more the merrier cast a wary eye on this, the position has to be “no detriment” so that if nobody used any of the powers for 5 years, the block grant would be exactly the same as it would be if we didn’t take the powers at all. 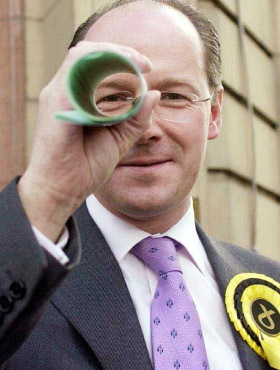 If it happened to be Willie Rennie found the problem, then good for him! Or Jim Cuthbert, or Anton Muscatelli or David Bell. But in the end it might be the legal people decide the roost. Forgot to say this is just the Heads of Agreement so far, possibly the full thing is due out today, and the devil may be in the detail. It’s becoming a bit doom and gloom when Mike posts stuff these days. Given how intertwined our economies are, let alone our one-size-fits-all taxation and revenue systems, I don’t think we can get to a full picture before independence. The best thing probably is an arrangement open to review, but which allows both governments (some of) the freedom needed to demonstrate the speriority of their policies. Any variations in income tax have to be applied to all bands; it won’t be possible to decrease the higher rate without also decreasing all the others. A review in 2021 namely in 5 years. The income tax powers operative from 2017 – leaving 4 years before review. The powers for APD in 2018- leaving 3 years. The powers related to aggregates – no date given. The powers over welfare – no date given. Assignment of VAT in 2019 – leaving 2 years. And then the one that interested me most, given Jim Cuthbert’s comments, namely the increase in borrowing powers – starting April 2017. I am no economist, but if there are fears (and I can see them as realisitic) over the Scottish Income Tax base, then it seems to me that the use and deployment of the borrowing powers are critical. Not least because those powers are an economic tool available at an early date. They offer an opportunity surely to use – our imaginations – to use such powers to address the issues that are causing concern, namely how to best use borrowing to at least mitigate the fears over the tax base. So, the FM was mistaken when she said there would be no detriment as a consequence of this agreement in her statement to the SP? In renegotiations, I don’t see how that argument could be used – that we didn’t lower income tax for high earners ? Surely, the ‘no detriment’ principle applies to a comparison of how things would be under no further devolution at all – the closest we could get to that is leaving income tax the same as the rest of the UK. It becomes problematic if income taxes are altered – perhaps alongside a new council tax set-up. If our budget starts to fall in relation to the rUK as a result of population or tax base changes, then that could be effectively hidden – with the blame for any shortfall blamed on other tax changes. It’s going to be hard to work out exactly where any difference is coming from. Perhaps the best way to prove the indexation method isn’t working is keep income tax the same – making clear to voters that the reason is to make a strong case in the future re-negotiations. Looking at graphs for the predicted detriment on different indexation methods, they get progressively worse as time passes. 4 years of operation isn’t really enough to base a final settlement on, especially if long term problems are masked due to Scottish tax changes. The way I see it, is that both governments postponed the problem waiting for different circumstances. The UK government will be hoping that the SNP loses its majority by 2022. And the SNP will be looking for a chances of a second referendum before then. In the meantime, they will be hoping that paying taxes to Scotland builds a degree of loyalty to the Scottish Government in any future disputes, and makes independence seem less of a leap next time. There are plenty of Tories who are aren’t happy about losing the income tax connection with the rest of Britain. Also the SNP now has a political argument that they won further powers for Scotland. Any argument against a second referendum will have to deal with that. Despite all the unionists cries of division and tearing families apart – we now have something concrete to show for it – more powers for Scotland that we wouldn’t otherwise have had. The relationship between the SG and the UK Government is inherently unstable. The current arrangement can in the longer term never work and John Swinney knows this. Essentially therefore the decision that Swinney and the SG had to make was whether to accept an agreement at all or reject entirely. Jim Cuthbert may say that there are dangers in this agreement which of course is true because it could never be anything else. But what would he have done – reject entirely? I think not not and I don’t think anyone sees this arrangement as being the end of the line. I think you are right when you imply that the Scotland Bill and Fiscal Framework were designed to make the efficient and effective Government of Scotland as “convoluted and difficult” as possible. It is quite simple; Westminster cannot afford to allow Holyrood to produce outstanding economic results in Scotland, for Scotland (except in adversity, by exception and against expectations); especially if the electorate (inevitably) compares the success of Holyrood against the current or historic standard performance of Westminster in serving Scotland. How could the outstanding, directly comparitive success of Holyrood possibly serve the political interests of Westminster or the Union? It can’t, so the Scotland Bill doesn’t. The intention is to prevaricate, distort and muddy the water (helped by dysfunctional governmental processes like the Barnett Formula, which is used less to assist the devolved regions than help disguise the scale of support given to London). QED. I’m not necessarily disagreeing with Jim Cuthbers. However it appears his view is a tad assumptional. It is based on the UK economy growing. We have all seen Gideons acumen at work. Simply put I would rather have a lot more power to grow our economy. But in their absence I would trust John Swinney ahead of Gideon every day of every week. Don’t forget Alex Salmond is no slouch financially either. I’m confident the worst predictions in this article will not come to pass. I openly admit my post is based on my personal ignorance, but allied with a degree of instinctive questioning whenever I read documents such as the Fiscal Agreement. purchased through the loan justify longer or shorter terms, these can be agreed. within the UK government rather than with a commercial bank. arrangements will be agreed between the Governments. The first thing that interests me is that the SG has a choice of who it chooses to borrow from. Perhaps the obvious answer would be at the lowest interest rate all other things be equal. However, if I remember correctly, one of the negative items raised in the run up to the referendum was the lack of a track record on SG borrowing, and thus the probability that an independent Scotland would have to pay higher interest rates on any borrowing. So, does the choice now open mean we have the ability to begin to establish a track record,by borrowing in the market, and might that begin to reduce the risk that was prominently voiced pre-referendum? In the past week or so, we have seen the exchange rate for sterling drop as a result of Brexit, and there are forecasts of further falls in sterling value irrespective of Brexit – how much of an issue is it therefore that the FA states any borrowing has to be in sterling? My last question relates to the items on borrowing – when related – to the items of SG reserves which it appears must be held at HM Treasury. I think I am correct in saying that any borrowing, although cited as from the PLB, is in fact sourced from HM Treasury funds via the Debt Management Office. There are published rates of interest tabled by the PLB based on the length and type of borrowing, but nowhere can I find published rates on the interest to be paid to the SG for the deposit of SG reserves. Are there any or do we deposit the reserves for no return? Am I wrong in suspecting that at least some of the SG borrowings will in fact, must in fact, be the borrowing of the SG’s own deposited Reserves, and then further suspicious that the interest to be charged on borowing may turn out to be higher than any interest paid on the deposit of any reserves – if indeed the reserves attract any interest? Sorry, that is all a bit dry maybe, but maybe someone with greater knowledge than me might be able to comment. Much of the commentary I read about the fiscal framework seems to concentrate on the tax powers, or describe the trap the powers may contaiin, and I keep looking (somewhat in vain) for comments on the borrowing powers. Are these powers not important? There are others, not just me, who seem to think so. Remember in the run up to the GE, that Nicola Sturgeon argued for a slower pace in the impact of austerity – ie., borrow to invest in infrastructure, skills and productivity. Recently the G20 held their meeting and these extracts from a Guardian article summarise exactly NS’s theme, from both the IMF and the OECD. And this: The International Monetary Fund has urged the UK to ease back on austerity should the economy slow further, as it warned finance ministers at the G20 summit in Shanghai to boost public spending on infrastructure to fuel global growth. So with the availability of increased borrowing powers will we see the SG put those powers to work? if not, why not?